Inherent powers of the High Court - Sec. 482 Cr.P.C. Courts subordinate to the High Court have no inherent power under Sec. 482 Cr.P.C. or otherwise (See AIR 1977 SC 2432 - Mithabhai Pashabhai Patel v. State of Gujarat - (2009) 6 SCC 332). A Magistrate has no inherent power to restore a complaint dismissed for default. As soon as the complaint is dismissed the Magistrate becomes functous officio and has no longer any power to rehear the complaint. A power to restore a complaint dismissed for default by the Magistrate is available only to the High Court. (Bindeshwari Prasad Singh v. Kali Singh - AIR 1977 SC 2432 & Major General A.S. Gauraya v. S.N. Thakur - AIR 1986 SC 1440). All Courts, whether civil or criminal, possess, in the absence of any express provision, as inherent in their constitution, all such powers as are necessary to do the right and to undo a wrong in the course of administration of justice on the principle “quando lex aliquid alicue concedit, concedere videtur id sine quo res ipsa esse non potest “ (when the law gives a person anything, it gives him that without which it cannot exist). [Vide Minu Kumari v. State of Bihar - (2006) 4 SCC 359]. Section 482 of the Code of Criminal Procedure, 1973 (the “Cr.P.C.” for short) reads as follows:-. “Saving of inherent power of High Court :- Nothing in this Code shall be deemed to limit or affect the inherent powers of the High Court to make such orders as may be necessary to give effect to any order under this Code, or to prevent abuse of the process of any Court or otherwise to secure the ends of justice. Section 482 Cr.P.C. is a verbatim reproduction of Section 561- A of the Code of Criminal Procedure, 1898 (the “Old Code “for short). Section 561- A in the Old Code was added by the Code of Criminal Procedure (Amendment) Act of 1923 as it was felt that the High Courts were unable to render complete justice even if, in a given case, the illegality was palpable and apparent. The inherent powers of the High Court preserved by Section 561 - A of the Old Code are vested in the High Court by law within the meaning of Article 21 of the Constitution of India. The procedure for invoking the inherent powers is regulated by rules framed by the High Court and the power to make such rules is conferred on the High Court by the Constitution. (See Ratilal Bhanji v. Assistant Customs Collector, Bombay - AIR 1967 SC 1639). Section 482 Cr.P.C. is a reminder to the High Courts that they are not merely courts of law but also courts of justice and possess inherent powers to remove injustice (In Re State of Uttar Pradesh - AIR 1959 Allahabad 69). All that this Section does is to preserve the inherent powers of the High Court without conferring any additional powers – The State of Uttar Pradesh v. Mohammed Naim - AIR 1964 SC 703.
i) to give effect to an order under the Cr.P.C. iii) to otherwise secure the ends of justice . It is not possible or desirable or even expedient to lay down any inflexible rule which would govern the exercise of the High Court's inherent jurisdiction. (See State of Karnataka v. Muniswami- AIR 1977 SC 1489). Eventhough the inherent jurisdiction of the High Court under Section 482 is very wide, it has to be exercised sparingly, carefully and with caution and only when such exercise is justified by the tests specifically laid down in the section itself. It is to be exercised ex debito justitiae to do real and substantial justice for the administration of which alone courts exist. (See R.P. 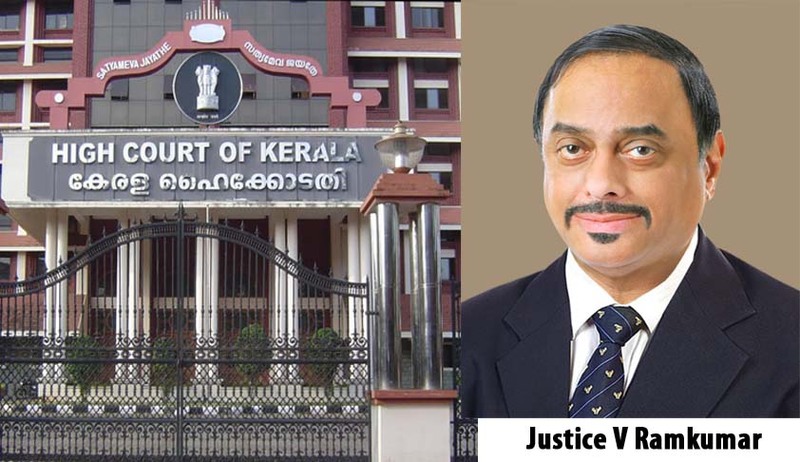 Kapur v. State of Punjab - AIR 1960 SC 866; Kunhammed v. Abdul Khader - 1977 KLT 840; Mathew v. State of Kerala - 2000 (1) KLT 294, State of Punjab v. Kasturi Lal and Others - AIR 2005 SC 4135; AIR 2006 SC 2872; Monica Kumar v. State of Uttar Pradesh - (2008) 8 SCC 781 = AIR 2008 SC 1614). The inherent power has to be exercised sparingly with circumspection and in the rarest of rare cases. (R.K. Lakshmanan v. A.K. Srinivasan and Another - AIR 1975 SC 1741; Kurukshetra University and Another v. State of Haryana and Another - AIR 1977 SC 2229 (State of Haryana v. Bhajan Lal - AIR 1992 SC 604; AIR 1996 SC 2983; 2000 Crl.L.J. 824 (SC); State of Orissa v. Ganesh Chandra Jew - AIR 2004 SC 2179 ; Mohanan v. Prabha G. Nair - (2004) 3 SCC 391; Didigam Bikshapathi & Anr. v. State of A.P. - AIR 2008 SC 527; Sanapareddy Maheedhar Seshagiri & Anr. v. State of Andhra Pradesh & Anr. - AIR 2008 SC 787; Som Mittal v. Govt. of Karnataka - AIR 2008 SC 1126; Som Mittal v. Govt. of Karnataka - AIR 2008 SC 1528). Exercise of power under Section 482 Cr.P.C. is not the rule but an exception. (Som Mittal v. Government of Karnataka - (2008) 3 SCC 753). Inherent power should not be exercised to stifle a legitimate prosecution. Janata Dal v. H.S. Chowdhary & Others - (1992) 4 SCC 305; State of Madhya Pradesh v. Awadh Kishore Gupta and Others - AIR 2004 SC 517; Manjula Sinha v. State of U.P. & Others - 2007 AIR SCW 4555. Invoking the inherent power prior to the commencement of trial and letting in of evidence, is not desirable. The power should be exercised only in exceptional cases. ( State of Bihar and another v. K.J.D. Singh - 1993 AIR SCW 2861=1993 Crl.L.J. 3537 SC). The High Court, while exercising inherent jurisdiction should not usurp the jurisdiction of the trial Court. (State of Bihar v. Murad Ali Khan and Others - AIR 1989 SC 1; Radhey Shyam Khemka and another v. State of Bihar - 1993 Crl.L.J. 2888 SC; Ganesh Narayan Hegde v. Bangarappa and Others - 1995 Crl.L.J. 2935 SC). While exercising jurisdiction under Sec. 482 Cr.P.C. the High Court will not embark upon an enquiry as to whether the evidence on record is reliable or not to sustain the accusation against the accused. [Jehan Singh v. Delhi Administration - (1974) 1 SCWR 691 ; Hazari Lal Gupta v. Rameshwar Prasad - (1972) 1 SCWR 71; Hareram Satpathy v. Tikaram Agarwala - AIR 1978 SC 1568; Superintendent and Remembrancer of West Bengal v. Aushutosh Ghosh - (1979) 4 SCC 381 ]. Inherent power not to be exercised ignoring express provisions in the Cr.P.C. Inherent power of the High Court cannot be invoked in regard to matters which are directly covered by specific provisions in the Cr.P.C. (Khushi Ram v. Hashim - AIR 1959 SC 542; R.P. Kapoor v. State of Punjab - AIR 1960 SC 866; Eapen K. Thomas v. State - 1963 KLT 1157; Madhu Limaye v. State of Maharashtra - AIR 1978 SC 47; Palaniappa Gounder v. State of Tamil Nadu - AIR 1977 SC 1323). Inherent powers cannot be exercised to do something which is expressly barred under the Cr.P.C. - State of Punjab v. Davinder Pal Singh Bhullar and Others - AIR 2012 SC 364. Whether the bar of second revision under Sec. 397 (3) Cr.P.C. applies to a petition under Section 482 Cr.P.C. ? The inherent power under Sec. 482 Cr.P.C. is different from the power of revision under Sec. 397 Cr.P.C. Therefore, in spite of the bar under Sec. 397 (3) Cr.P.C. for a second revision, a petition under Sec. 482 would be maintainable. ( Krishnan v. Krishna Veni (1997) 4 SCC 241 = AIR 1997 SC 987; Madhu Limaye v. State of Maharashtra - (1977) 4 SCC 551 = AIR 1978 SC 47) . But in Dharmapal v. Ramshri - AIR 1993 SC 1361 it was held that the inherent power cannot be exercised for allowing a second revision when the same is barred under Sec. 397 (3) Cr.P.C. Whether the bar under Sec. 397 (2) Cr.P.C. in relation to interlocutory order, is applicable to Section 482 Cr.P.C. ? Generally speaking the bar put on revision of an interlocutory order under Sec. 397 (2) Cr.P.C. cannot be circumvented by invoking the inherent powers under Section 482. (Vijayapal Reddy v. State - 1978 Crl.L.J. 1702 = AIR 1978 SC 1590). But nothing in the Code, not even Section 397 can affect the amplitude of the inherent power preserved in Section 482. Where the impugned interlocutory order clearly brings about a situation which is an abuse of the process of the court then for the purpose of securing the ends of justice interference by the High Court is absolutely necessary and nothing contained in Section 397 (2) can limit or affect the exercise of the inherent power of the High Court. (Madhu Limaye v. State of Maharashtra - [(1977) 4 SCC 551 = 1978 SCC (Crl) 10; Raj Kapoor v. State - (1980) 1 SCC 43]. WHETHER THE INHERENT POWER CAN BE EXERCISED BY THE HIGH COURT OVER A COURT WHICH IS NOT SUBORDINATE TO SUCH HIGH COURT ? The jurisdiction of the High Court is confined only to the Courts subordinate to it in the State for which such High Court has been constituted (Chellappan Pillai v. Chandulal - 1980 KLT 411). A matter pending in a Court under the jurisdiction of another High Court cannot be quashed by the Kerala High Court in exercise of its inherent power under Section 482 Cr.P.C. Inherent power under Section 482 Cr.P.C. can be invoked only when there is no other remedy open to the aggrieved party. [Krishna Kumar Menon v. Neoteric Informatique (P) Ltd., - 2001 (3) KLT 689 = 2000 (Crl) LJ 706 (DB)]. Hence, a criminal complaint pending before a Court outside the territorial jurisdiction of the High Court cannot be quashed by the High Court by invoking its inherent powers. (Vinod Kumar v. State - 1981 Crl.L.J. 927 (Delhi). The High Court cannot exercise its inherent jurisdiction under Sec. 482 Cr.P.C. to interfere with a matter pending in a court outside its territorial jurisdiction - (K.L. Suri v. Union of India (1988) 2 Crimes 30 (Punjab and Haryana). Whether Sec. 482 Cr.P.C. can be exercised to review an earlier order ? The inherent power of the High Court cannot be exercised to review an earlier order passed by the High Court since the power of review is expressly barred under Sec. 362 Cr.P.C. (Moti Lal v. State of Madhya Pradesh - AIR 1994 SC 1544; State of Kerala v. M.M. Manikandan Nair - (2001) 4 SCC 752 = AIR 2001 SC 2145; Nazar v. Varghese and Another - 2003 (2) KLT 1002 = 2003 Crl.L.J. 3622; State v. K.V. Rajendran - 2008 (3) SCC (Cri) 600. But See State v. Navjyot Sandhu -(2003) 6 SCC 641 (Parliament attack case - Para 29 ) - where the Supreme Court observed that the power under Sec. 482 Cr.P.C. could be exercised notwithstanding the power under Sec. 397 or any other provision of the Cr.P.C. though not against the power under other laws. See also A.C. Anwar and Others v. State of Kerala - 2007 (2) KLD 646. It may be noted that Section 482 Cr.P.C. begins with the words “nothing in this Code shall be deemed to limit or affect the inherent jurisdiction of the High Court”. These words indicate that Sec. 482 will have primacy over any other provision in the Cr.P.C. and can, therefore, override even Section 362 Cr.P.C. Of course, in a given case whether the High Court should review its own earlier order by resort to Section 482 Cr.P.C. should be left to the discretion of the High Court depending on the facts and circumstances of the case. In Ramdeo Chauhan @ Rajnath Chauhan v. Bani Kant Das & Ors. - AIR 2011 SC 615 it has been held by the Supreme Court that review of criminal judgments and orders is permissible on grounds of error apparent on the face of record. Whether a second application under Sec. 482 Cr.P.C. is maintainable ? In Superintendent and Remembrancer of Legal Affairs, West Bengal v. Mohan Singh - AIR 1975 SC 1002 the Supreme Court held that the High Court was entitled to entertain a subsequent application having regard to the change of situation which was prevailing when the earlier application was dismissed. See also (2008) 8 SCC 673. But, in Simrikhia v. Dolley Mukherjee - AIR 1990 SC 1605 it was held that when once the High Court on certain facts has refused to exercise jurisdiction under Sec. 482 Cr.P.C. a second application on the same ground cannot be entertained. “There are a large number of cases where criminal law and civil law can run side by side . The two remedies are not mutually exclusive but clearly co-extensive and essentially differ in their context and consequence. The object of criminal law is to punish an offender who commits an offence against a person, property or the State for which the accused, on proof of the offence, is deprived of his liberty and in some cases even his life. This does not, however, affect the civil remedies at all for suing the wrong-doer . In cases like arson, accidents etc. it is an anathema to suppose that when a civil remedy is available, a criminal prosecution is completely barred ''. Substance of the complaint has to be looked into. Where the case involved only a breach of contract and not a criminal case of cheating, process issued by the Magistrate quashed. (Anil Maliajan v. Bhor Industries Ltd. (2005) 10 SCC 228). Uma Shankar Gopalika v. State of Bihar (2005) 10 SCC 336). Civil suit having been compromised earlier, it would be an abuse of the process of Court to continue the criminal proceedings and hence quashed. (Nalini Shankaran v. Neelkanth Mahadeo Kamble - (2007) 12 SCC 90. Proceedings can be quashed where the dispute is purely of a civil nature (Trilok Singh v. Satya Deo Tripathi - (1979) 4 SCC 396 = 1980 Crl.L.J. 822 (SC);George Zacharia v. T.K. Varghese - (1995) Supp. 1 SCC 267; Bal Krishnan Das v. P.C. Nayar - (1991) Supp. 2 SCC 412. “A frustrated landlord after having met his warterloo in the hierarchy of civil Courts, has further enmeshed the tenant in a frivolous criminal prosecution which prima facie appear to be an abuse of the process of law. ..................chagrined and frustrated litigants should not be permitted to give vent to their frustration by cheaply invoking the jurisdiction of the criminal court........................................ The conclusion is inescapable that invoking the jurisdiction of the criminal court in this background is an abuse of the process of law and the High Court rather glossed over this important fact while declining exercise of its powers under Sec. 482 Cr.P.C”. Delayed trial - Whether a ground for quashing proceedings ? Delay by itself cannot be a ground to quash proceedings particularly when the delay is attributable to the conduct of the accused himself. ( Jagdish Ram v. State of Rajasthan and another - AIR 2004 SC 1734). In 1995 AIR SCW 2364 = 1995 Crl.L.J. 2935 (SC) the Supreme Court refused to quash the charge in a complaint case where there was a delay of 12 years in the trial when the complainant was not responsible for the delay. (See also Pratibha v. Rameshwari Devi & Others - 2007 AIR SCW 5933 = 2008 Crl.LJ 329 (SC). Where the prosecution was pending for almost 14 years which caused not only mental agony to the accused but also had adversely affected his service career, the prosecution was quashed by exercising inherent powers (S.G. Nain v. Union of India - AIR 1992 SC 603). Delay in conclusion of trial without any fault of the accused person violates his right to speedy trial guaranteed by the Constitution and therefore continuance of the proceedings would amount to an abuse of the process of Court. ( Vakil Prasad Singh v. State of Bihar - 2009 AIR SCW 1418 = 2009 (2) SCALE 22). Criminal proceedings cannot be quashed merely on ground of delay. Court has a duty to see whether the prolongation of the trial was on account of any delaying tactics adopted by the accused. Other relevant factors are the number of witnesses examined , volume of documentary evidence produced, nature and complexity of the offence etc. Each case has to be judged in its own background and special features, if any . ( State v. Dr. Narayan Waman Nerukar - AIR 2002 SC 2977). Delay in obtaining prosecution sanction and the consequential delay in filing the charge sheet cannot be attributed to the Investigating Officer. Charge sheet is not liable to be quashed. (AIR 2001 SC 1246 = Seeta Hemchandra Shashittal v. State of Maharashtra - 2001 Crl.L.J. 1242 SC). The fact that 20 years have elapsed since the date of the seizure of gold under the Customs Act, 1962 and Gold (Control) Act, 1958 would be no ground for not proceeding further with the matter in as much as the offence in question was a serious economic offence which undermines the economy of the nation. (V.K. Agarwal v. Vasantraj Bhagwanji Bhatia and Others - AIR 1988 SC 1106 = 1988 Crl.L.J. 1106). In a case involving misappropriation of huge amounts the charge sheet was filed after prolonged investigation. Delay of over 8 years was not in any way attributable to the accused. Lackadaisical manner of investigation spread over a period of 4 years. It was held that the valuable constitutional right of the accused to speedy investigation and trial was infringed and accordingly the criminal proceedings were quashed. ( Pankaj Kumar v. State of Maharashtra - 2008 AIR SCW 5165 = 2008 (9) SCALE 760). Inordinate delay on the part of the investigating agency in completing the investigation cannot always be a ground for quashing the F.I.R. (State of Andhra Pradesh v. P.V. Pavithran - AIR 1990 SC 1266 = 1990 Crl.L.J. 1306). Facts showing that the accused himself was responsible for the long delay in concluding the trial. The accused had repeatedly approached the High Court for quashing the proceedings and got the trial stayed every time. Held that a direction to quash the proceedings would amount to granting a premium to the wrongdoer. ( State of West Bengal v. Amiya Kumar Biswas - 2004) 13 SCC 671. Where the accused public servant was alleged to have possessed disproportionate assets to the tune of Rs. 2,00,000/- and during the prosecution which was pending for 14 years not a single witness was examined and the delay was not attributable to the accused, the proceedings were quashed. (Santosh De v. Archna Guha and Others - AIR 1994 SC 1229 = 1994 Crl.L.J. 1975). In a prosecution against the directors of a company for an offence punishable under Section 15 read with Section 16 of the Environment Protection Act, 1986 the proceedings were pending for about 17 years for which the Pollution Control Board was in no way responsible for the delay. Held that the complaint cannot be quashed against the directors only on the ground of delay . (U.P. Pollution Control Board v. M/s. Mohan Meakins Ltd. and Others - AIR 2000 SC 1456). Whether the proceedings can be quashed under Sec. 482 Cr.P.C. upon settlement of the dispute between the parties in cases involving non-compoundable offences ? i) Where the marital partners have subsequently settled their disputes and differences. i) Where the dispute is purely of a personal nature between the complainant and the accused and no public policy is involved in the transactions entered into, even if the offences being non-compoundable cannot be compounded, the proceedings can be quashed under Sec. 482 Cr.P.C. upon a compromise entered into between the parities. h) Gian Singh v. State of Punjab - 2012 AIR SCW 5333 = 2012 (9) SCALE 257 = 2012 (4) KLT 108. Jagdish Chanana v. State of Haryana - AIR 2008 SC 1968; Md. Abdul Sufan Laskar v. State of Assam - (2008) 9 SCC 333 -- Every crime is considered to be an offence against the society as a whole and not merely against an individual. WHETHER AN F.I.R CAN BE QUASHED ? “It surprises in the extreme that the High Court though that in the exercise of its inherent powers under Sec. 482 Criminal Procedure Code it could quash an F.I.R. The police had not even commenced investigation into the complaint filed by the Warden of the University and no proceeding at all was pending in any Court in pursuance of the F.I.R. It ought to be realised that inherent powers do not confer any aribitrary jurisdiction on the High Court to act according to whim or caprice”. But, there are decisions galore to the effect that where the allegations made in the F.I.R. even if taken at their face value and accepted in their entirety, do not prima facie disclose the commission of an offence the inherent power to quash the proceedings at the initial stage can be exercised. See R.P. Kapur v. State of Punjab - AIR 1960 SC 866; State of West Bengal and others v. Swapan Kumar Guha and Others - AIR 1982 SC 949, State of Haryana and others v. Ch. Bhajan Lal and Others - AIR 1992 SC 604, S.M. Datta v. State Gujrat and Another - AIR 2001 SC 3253, M. Krishnan v. Vijay Singh - 2002 SCC (Cri) 19; Jagdish Chanana & Others v. State of Haryana & Anr. AIR 2008 SC 1968 etc. Certain legal positions are well settled. The purpose of lodging an F.I. statement is only to set the criminal law in motion and such F.I. statement need not necessarily be given by a victim or an eye-witness. The F.I.R. need not be an encyclopedia of all the relevant facts and more incriminating material will be unfolded only during the investigation. An F.I.R. cannot be placed on the same pedestal as the charge sheet (Police Report) or a complaint which alone are ordinarily the documents of institution of a criminal case before a Court. It is only if information regarding the commission of a cognizable offence is made to the officer in charge of a Police Station can such officer register an F.I.R. In fact, if such an information is made to the S.H.O., he has no option except to register the F.I.R. and commence investigation. (See State of Uttar Pradesh v. Bhagwant Kishore Joshi - AIR 1964 SC 221; State of Haryana v. Bhajanlal and Others - AIR 1992 SC 604 ; Madhuresh v. C.B.I. and Others - 1997 Crl. L.J. 2820 ; Velayudhan v. State of Kerala - 1998 (1) KLT 364. Now, after the Constitution Bench decision of the Supreme court in Lalita Kumari v. Government of U.P. (2014) 2 SCC 1 = AIR 2014 SC 187 - a preliminary enquiry before registration of a crime is permitted only in matrimonial/family disputes, commercial offences, medical negligence cases, corruption cases and abnormally delayed prosecutions. In all other cases, the S.H.O. is bound to register an FIR. It is such an F.I.R. which is very often quashed, either as against the applicant alone or as against all the accused persons. Thus, a case alleging the commission of cognizable offences is nipped in the bud even before the entire facts are unravelled. The caution made by the Apex Court and other High Courts that the power under Sec. 482 Cr.P.C. is to be exercised very sparingly and with circumspection is very often forgotten by Judges passing such orders. Instances are not rare, when pending the petitions for quashing the FIR, an interim stay of all further proceedings is asked for and liberally granted. What is really stayed is the investigation by the police overlooking the fact that investigation is a matter within the exclusive dominion of the Police. Even if the petition is eventually dismissed, incalculable harm might have been caused in the matter by depriving the police of their right to collect evidence before it is too late. Even in cases where the F.I.R. alleges offences such as cheating or criminal breach of trust etc. where it could be argued in certain given cases that the subject matter of the claim is really one within the cognizance of a civil court, the police can be apprised of the same during investigation and if in spite of that the police were to charge-sheet the accused persons, they can challenge the final report in appropriate proceedings. But why quash the F.I.R. at a nascent stage of investigation ? (See also the article of the author titled “Can the Constitutional Courts quash an FIR ?”). It is not permissible for the High Court to quash an F.I.R. after taking into account the documents produced by the petitioner (Union of India and Others v. B.R. Bajaj and Others - AIR 1994 SC 1256 = (1994) 2 SCC 277; Chand Dhawan v. Jawahar Lal and Others - AIR 1992 SC 1379). Whether proceedings against an absconding accused are liable to be quashed without a trial for the sole reason that the co-accused have been acquitted after trial ? Until a Full Bench of the Kerala High Cout in Moosa v. S.I. of Police - 2006 (1) KLT 552 held that the acquittal of a co-accused is no reason to bar a trial in the case of an absconding accused and that the judgment of acquittal which is not inter partes would be irrelevant to bar a second trial, such absconding accused were lavishly invoking the High Court's jurisdiction under Sec. 482 which itself is intended to prevent abuse of the process of Court. The High Court can, in the exercise of its inherent jurisdiction, expunge remarks made by it or by a lower court if it be necessary to prevent abuse of the process of Court or otherwise to secure the ends of justice even if the matter has not been brought before it in regular appeal or revision. But this power is of an extraordinary nature and has to be exercised with great care and caution. Dr. Raghubir Saran v. State of Bihar and another - AIR 1964 SC 1; The State of Uttar Pradesh v. Mohammed Naim - AIR 1964 SC 703. Observations which were not necessary for the disposal of the case and made in a sweeping manner against the State and the police department without indicating the basis for such observation, expunged. (State of Rajasthan v. Netrapal & Others - 2007 AIR SCW 1370; Anjani K. Verma v. State of Bihar and Another - (2004) 11 SCC 188). Courts should avoid unsavoury remarks against judicial personage of lower hierarchy . [K.P. Tiwari v. State of Madhya Pradesh - AIR 1994 SC 1031; Pammi @ Brijendra Singh v. Government of Madhya Pradesh - AIR 1998 SC 1185; State of Gujrat v. K.V. Joseph - (2001) 2 SCC 156 = 2000 (8) SCALE 409; In the matter of 'K' a Judicial Officer - AIR 2001 SC 972; In the matter of : “RV” a Judicial Officer - AIR 2005 SC 1441]. A remark made against a person having no opportunity of being heard must be expunged especially when such a person was neither a party to the proceedings nor a witness. Stigmatising remarks made by trial Judge against the investigating officer that the accused were falsely implicated by him at the instance of some Ministers based on the testimony of hostile witnesses, expunged. State of Kerala v. Sudhakaran - 2001 (2) KLT 700 = 2001 Crl.L.J. 3658 (Kerala). Where the person disparaged is a public servant acting in his own independent sphere, it is absolutely necessary that the Judges' suspicion about his conduct be communicated to him and an opportunity given to him to show cause against the view that the Judge is inclined to take of his conduct. [S.K. Viswambharan v. Koyakunju and Others - AIR 1987 SC 1436; K.P. Radhakrishna Menon v. State of Kerala - 1980 Crl.L.J. 1073 (Kerala); Dr. I.B. Gupta v. State of U.P. - (1994) 2 SCC (suppl) 37]. Sec. 427 read with Sec. 482 of Cr.P.C. Subsequent sentence shall run concurrently. No order of Court is necessary. But where the second Court wrongly directs consecutive sentence ignoring or disregarding the statutory mandate under Sec. 427 (2) Cr.P.C. the illegality can be rectified either under Sec. 397 Cr.P.C. or under Sec. 482 Cr.P.C. Even the power under Art. 226 of the Constitution can be invoked to remedy the injustice. Unless the Court (whether trial court or appellate court) directs concurrency in the sentences, such sentences shall run consecutively . But the Court will have to direct under Sec. 31 (1) Cr.P.C. the order in which each sentence shall commence after the expiration of each of the other sentences . 2Imprisonment for a term Imprisonment for life The principles underlying Sec. 427 (2) Cr.P.C. will apply and the sentences shall run concurrently unless directed otherwise in which case the direction for consecutive sentence shall also say that the imprisonment for life shall start running after the expiration of the sentence of imprisonment for the fixed term. 3Imprisonment for life Imprisonment for life or imprisonment for a fixed term The principles underlying Sec. 427 (2) Cr.P.C. will apply and the sentences shall run concurrently unless directed otherwise in the case of a sentence of imprisonment for a fixed term in which case the direction for consecutive sentence shall also say that the imprisonment for life shall start running after the expiration of the sentence of imprisonment for the fixed term and not vice versa . Whether new documents can be produced along with the petition under Sec. 482 Cr.P.C. ? Ordinarily, the High Court will not allow new documents to be produced along with the petition under Sec. 482 Cr.P.C. The Court should not act on Annexures to the petitions under S. 482 of the Code, which cannot be termed as evidence without being tested and proved. (State of M.P. v. Awadh Kishore Gupta and Others - 2003 AIR SCW 6501 ). While exercising jurisdiction under Section 482 , it is impermissible to look into the material produced, the acceptability of which is essentially a matter for consideration at trial. Sathy M. Pillai v. Sarma - 2005 (2) KLT 954). But public documents or materials which are beyond suspicion and relied on by the accused can be taken into consideration by the High Court while exercising powers under Section 397 or 482 Cr.P.C. (Harshendra Kumar D v. Rebatilata Koley etc. - AIR 2011 SC 1090). While the materials produced by the defence at the stage of framing charge by the trial Court, cannot be considered by the trial Court for discharging the accused, in a proceeding taken therefrom under Section 482 Cr.P.C., the High Court is free to consider the material that may be produced on behalf of the accused to arrive at a decision as to whether the charge as framed could be maintained or not. (State of Orissa v. Debendra Nath Padhi - (2005) 1 SCC 568 = AIR2005 SC 359- 3 Judges; Rukmini Narvekar v. Vijaya Satardekar - (2008) 14 SCC 1; Rajiv Thapar and Others v. Madan Lal Kapoor - (2013) 3 SCC 330. Difference in the powers of the High Court under Article 226 of the Constitution and Section 482 Cr.P.C. Although the power to issue writs in the nature of mandamus, certiorari, prohibition and quo warranto and the power to pass appropriate orders under Section 482 Cr.P.C. are conferred upon the High court, those powers undoubtedly operate in different fields. The power to issue writs under Article 226 of the Constitution is neither echoed nor transplanted into Section 482 Cr.P.C. (Para 56 of Divine Retreat Centre v. State of Kerala - (2008) 3 SCC 542 = AIR 2008 SC 1614). But nomenclature under which a petition is filed, is not relevant. A petition filed under Article 226 of the Constitution can be treated as one under Article 227 of the Constitution or one under Section 482 Cr.P.C. The existence of the alternate remedy of appeal or revision or of discharge at the stage of framing charge may not be a bar to invoke the jurisdiction of the High Court under Article 227 of the Constitution or Section 482 Cr.P.C. The powers conferred on the High Court under Article 226 and 227 of the Constitution of India and under Section 482 Cr.P.C. have no limit, but more the power, more due care and caution should be exercised while invoking these powers. When the exercise of the powers is under Article 227 of the Constitution and Section 482 Cr.P.C. it may not always be necessary to invoke the power under Article 226 of the Constitution of India. (Pepsi Foods Ltd. v. Special Judicial Magistrate (1998) 5 SCC 749 = AIR 1998 SC 128). Inherent powers can be exercised only in relation to a matter pending before an inferior criminal Court. Application under Section 482 Cr.P.C. lies before the High Court only in a matter pending before an inferior Criminal Court subordinate to such High Court. (Kurukshetra University v. State of Haryana - AIR 1977 SC 2229 = (1977) 4 SCC 451; Paragraphs 33 and 46 of State of West Bengal v. Sujit Kumar Rana - (2004) 4 SCC 129 = AIR 2004 SC 1851 ; D. Venkatasubramaniam v. M.K. Mohan Krishnamachari - (2009) 10 SCC 488; State of Punjab v. Davinder Pal Singh Bhullar and Others - AIR 2012 SC 364. Which are the judicially recognized grounds for exercising the power under Sec. 482 Cr.P.C. ? Where the allegations in the First Information Report and other materials, if any, accompanying the F.I.R. do not disclose a cognizable offence, justifying an investigation by police officers under Section 156 (1) of the code except under an order of a Magistrate within the purview of Section 155 (2) of the Code. Where, the allegations in the F.I.R. do not constitute a cognizable offence but constituted only a non-cognizable offence, no investigation is permitted by a police officer without an order of a Magistrate as contemplated under Section 155 (2) of the Code. Where there is an express legal bar engrafted in any of the provisions of the code or the concerned Act (under which a criminal proceeding is instituted) to the institution and continuance of the proceedings and/or where there is a specific provision in the Code or the concerned Act, providing efficacious redress for th grievance of the aggrieved party. Where a criminal proceeding is manifestly attended with mala fide and/or where the proceeding is maliciously instituted with an ulterior motive for wreaking vengeance on the accused and with a view to spite him due to private and personal grudge. (State of Haryana and Others v. Bhajan Lal - AIR 1992 SC 604 ; Yogeshwar Rao v. State - 1992 (3) Crimes 831).